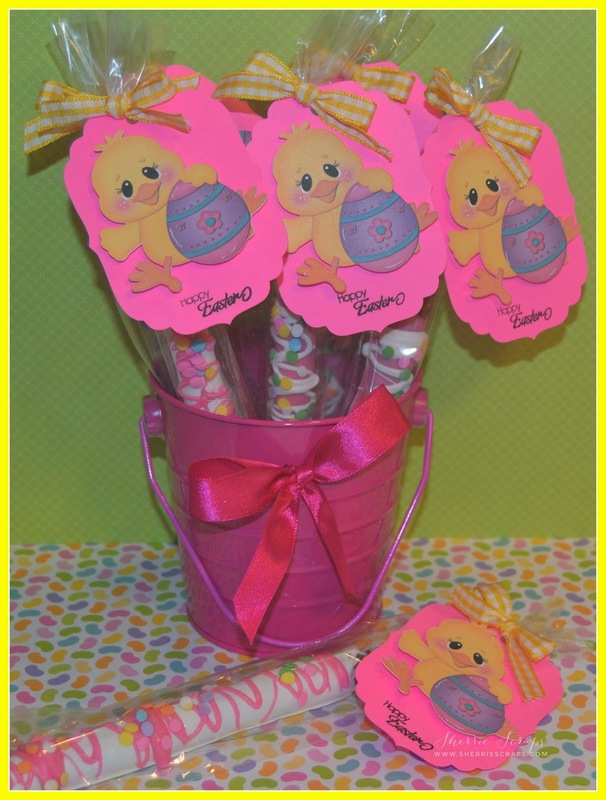 I have some yummy Easter pretzels to share with you today. I was asked to make 2 dozen pretzels for a friend of mine so I thought I would also whip these up for my co-workers too....everyone loves these and they are super easy to make! I ended up making 48 of these cuties! 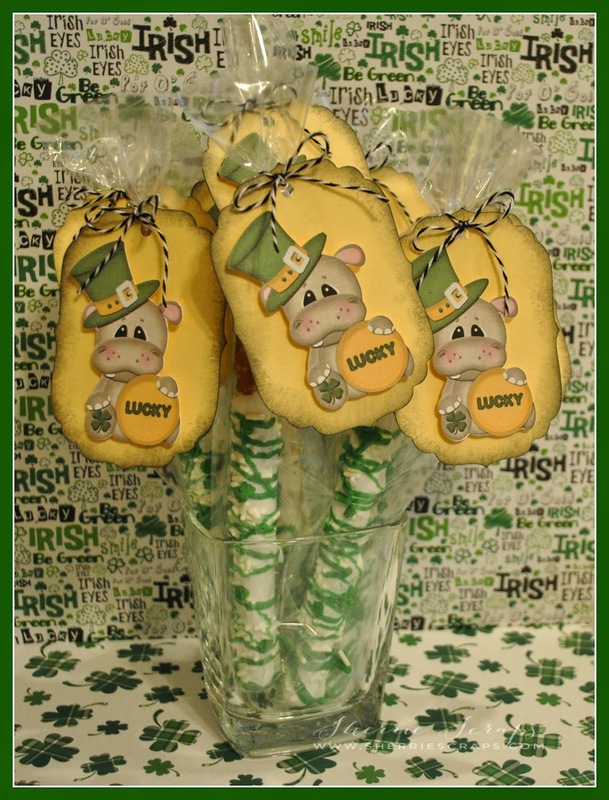 I picked up pretzel rods at the store, dipped them in Wilton candy melts and added sprinkled candies on top. 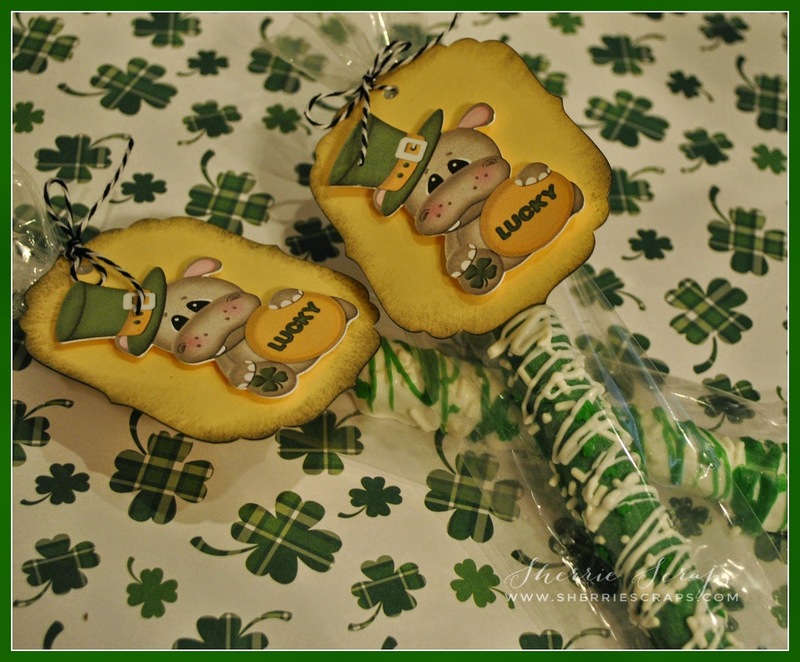 After setting up, I packaged them in pretzel bags and created a fun little tag. 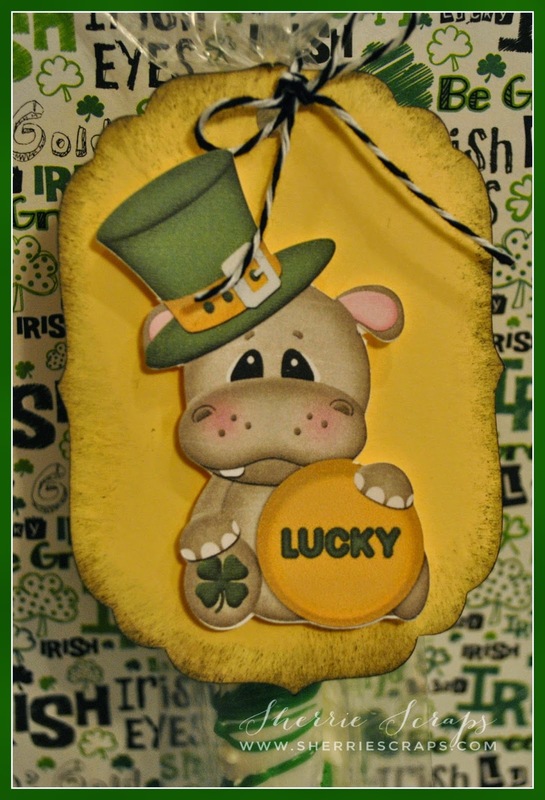 I grabbed the cute tag from the Silhouette Store, sized it and cut it on my Cameo. 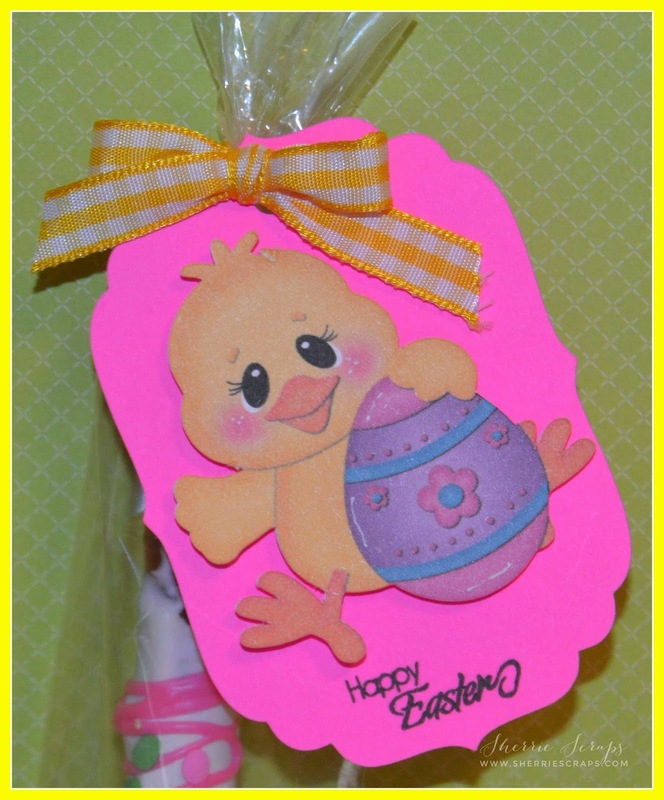 I then found this adorable Easter Bunny file also at the Silhouette store and used the print & cut feature instead of piecing together since I was making a lot of them. 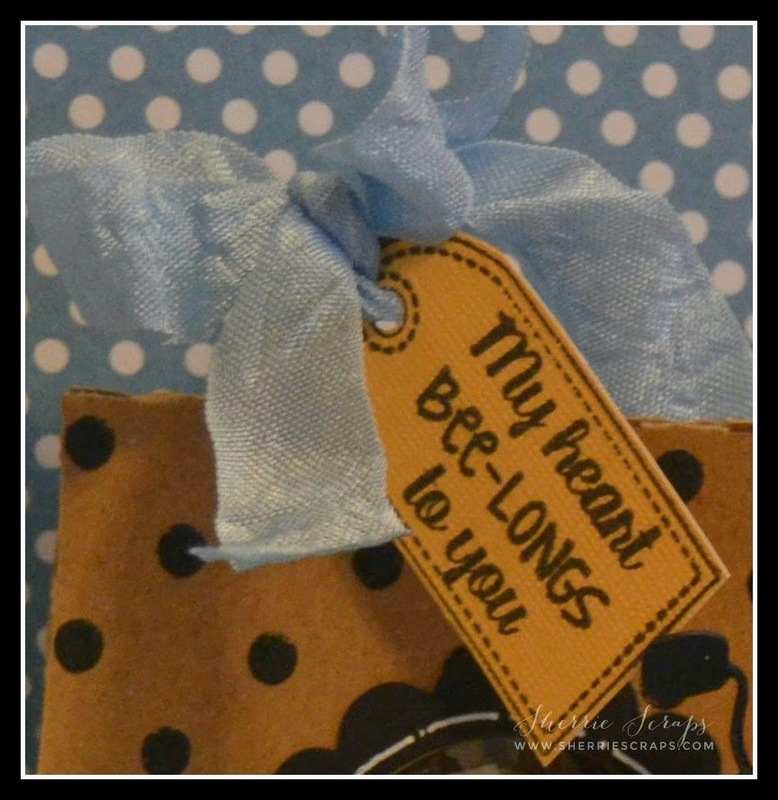 I stamped the sentiment with My Creative Time's Teeny Tag Greetings and them tied them on with pretty gingham ribbon. If you are looking for a fast project or needing to mass produce, this is perfect! It took me just a couple hours to finish up. I think it was tying on all the tags that took the longest, lol! 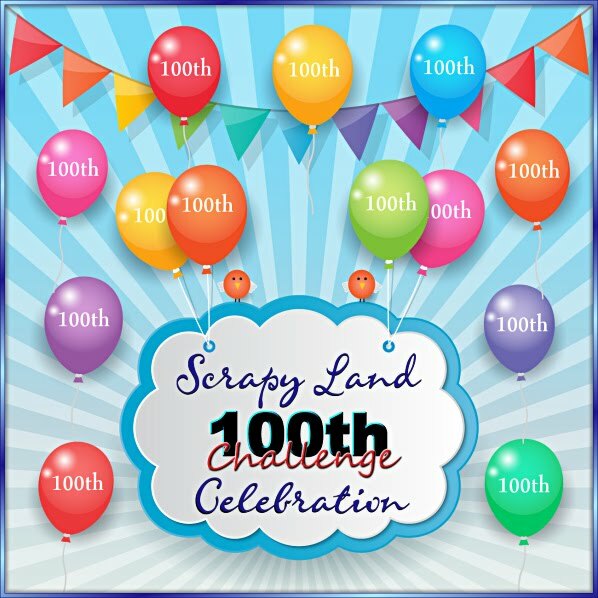 It was a busy one again around here~I have been trying to catch up on some yard work and spring cleaning. The weather has been strange the last few days. We had a cool day but sunny and then a snow k ind of winter mix the next :( Come on spring! 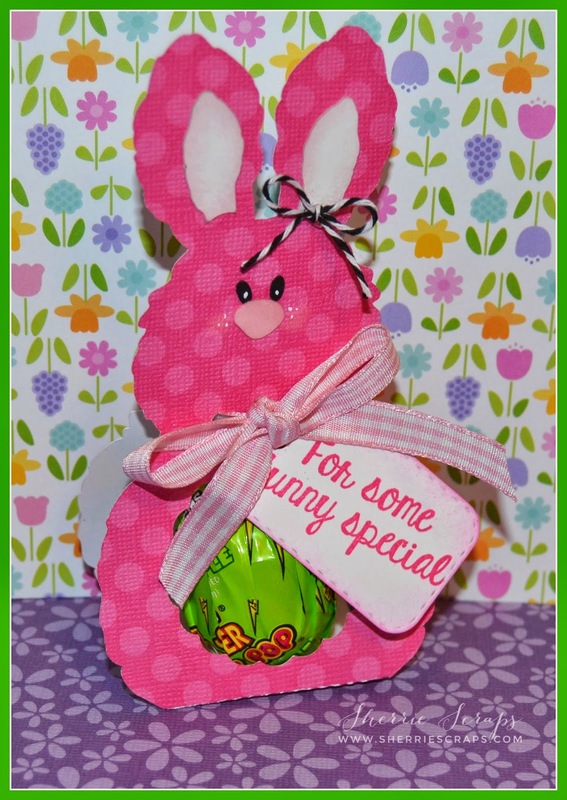 I got this adorable bunny lollipop treat holder as a freebie file a while back from My Scrap Chick. 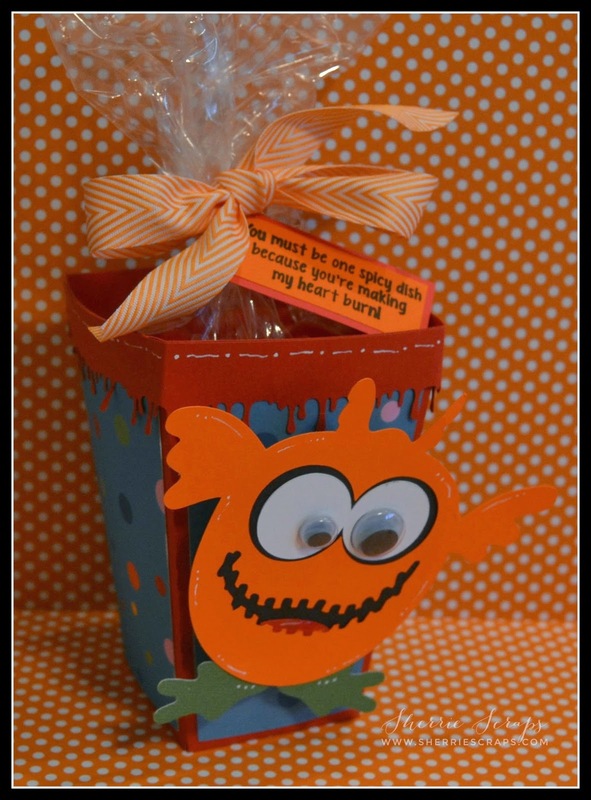 I thought it would be fun to make a few to give to the little neighbor kiddo's. 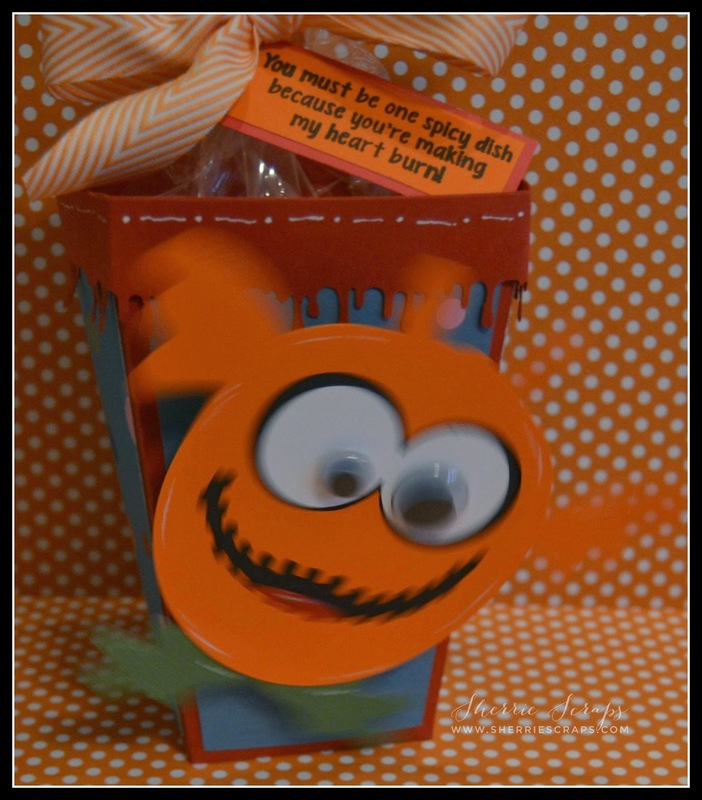 They went together really quick so if you are looking for a treat to quickly mass produce, this is perfect! 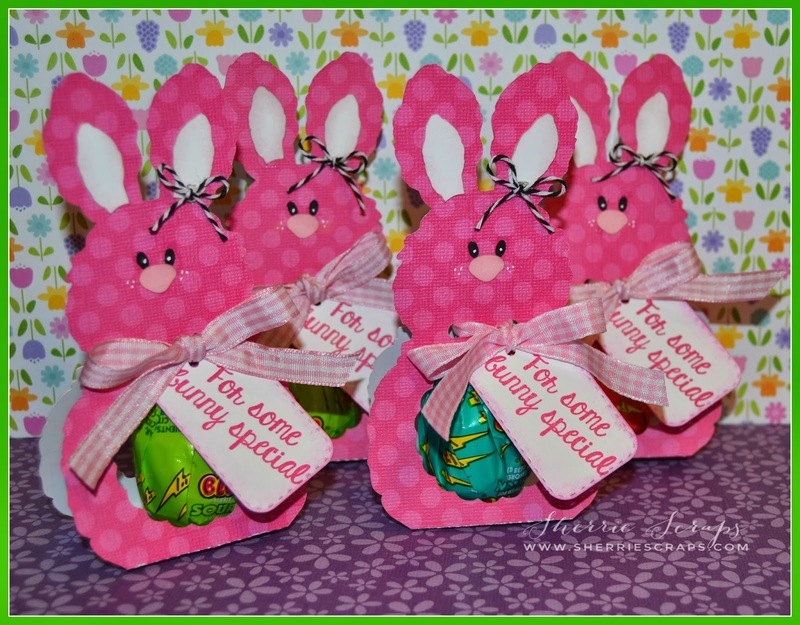 Honey Bunny stamp set. Such a cute set!!! 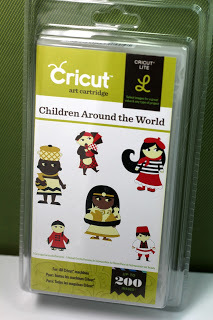 Use a Silhouette Iron on Transfer. 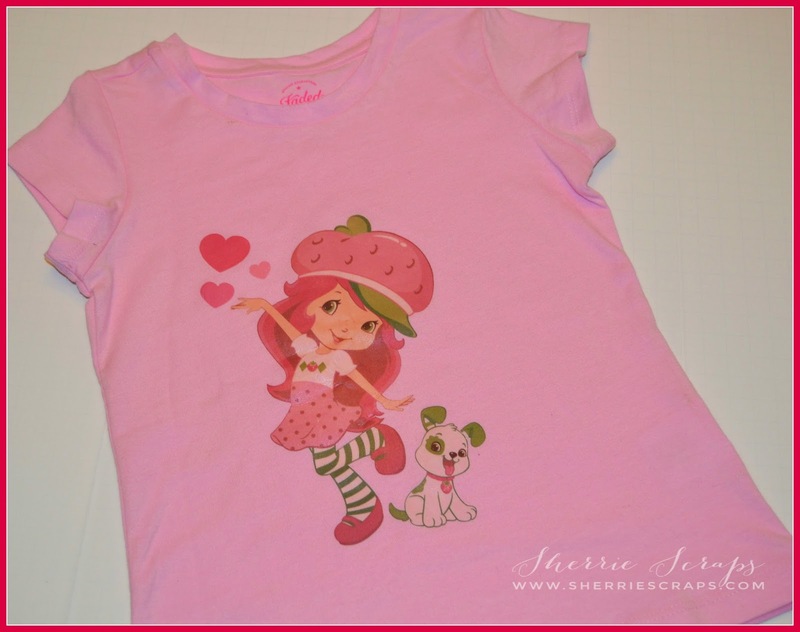 I used the files: Strawberry Shortcake Dancing #73145 and Strawberry Shortcake Pupcake #73141. I uploaded the files, sized them and then printed them on my computer onto fabric transfer. I then cut it on the Cameo and ironed them on. It was super easy and I definitely will be making more of these! 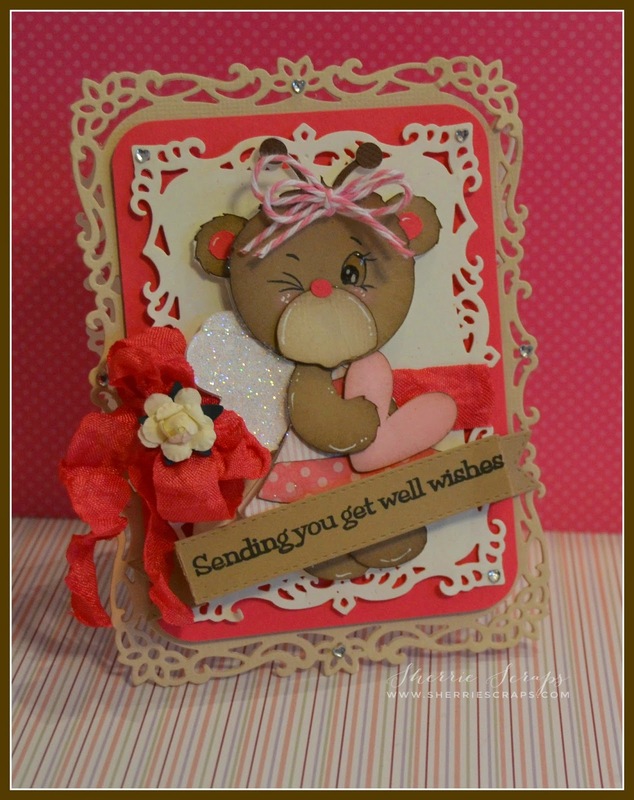 I will cutesy up the next one a bit more by adding some wording, sparkle and ribbon, etc. The possibilities are endless, don't you think? It was a busy one for us but we got a lot done, yeah! They sure go fast, ha? 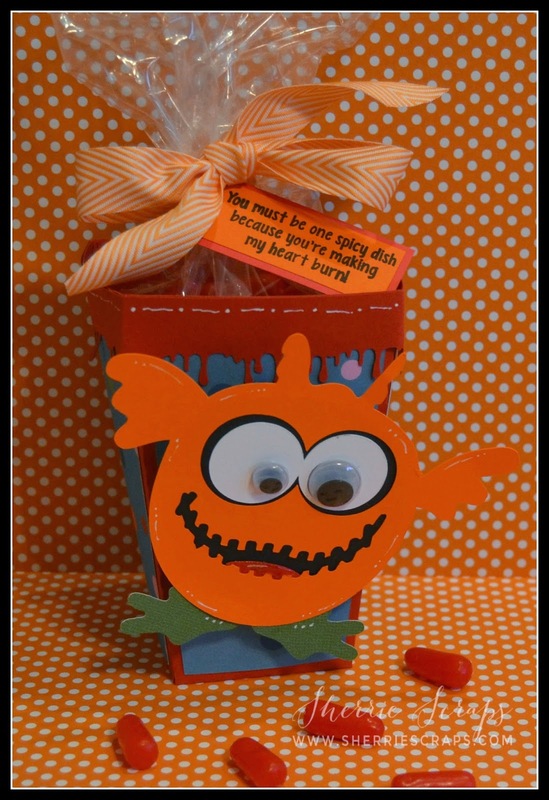 This cute 3D monster popcorn treat box was found at the Silhouette Store~design #65706. The papers were all from my scraps. 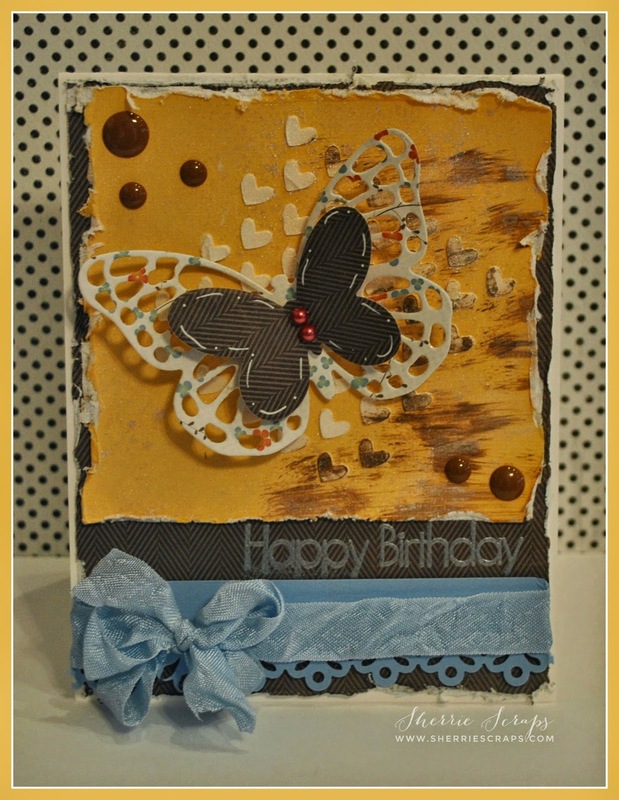 I added a fun border using a Martha Stewart border punch along the top. I also added goodly eyes and then a wobble to the monster before I adhered it in place. 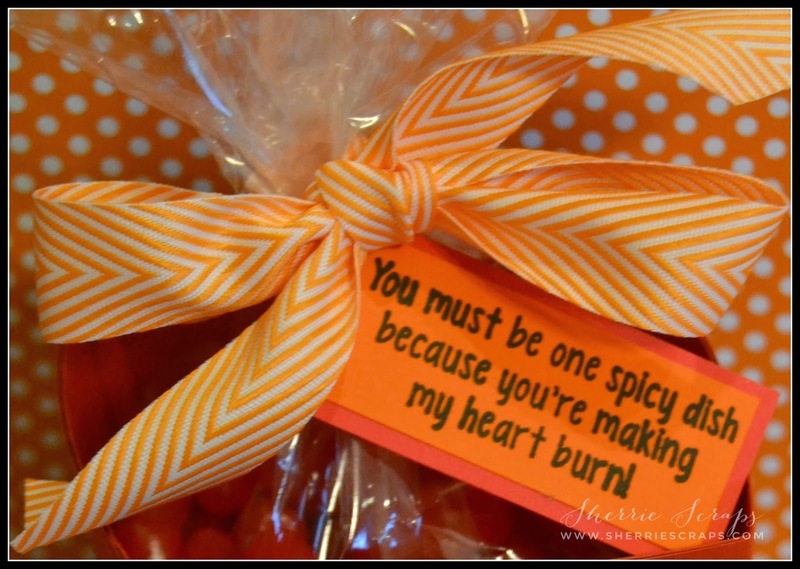 I filled a cello bag with yummy hot tamale's, added a cute bow and a fun tag:) The sentiment is from Jaded Blossom~Cheesy Pick Ups 3 stamp set. Happy Friday......I hope your having a great day!! 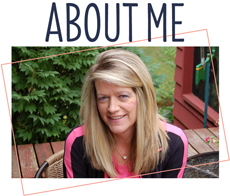 I have a quick project to share with you using some new product I recently got from My Creative Time that has been sitting waiting to be used. 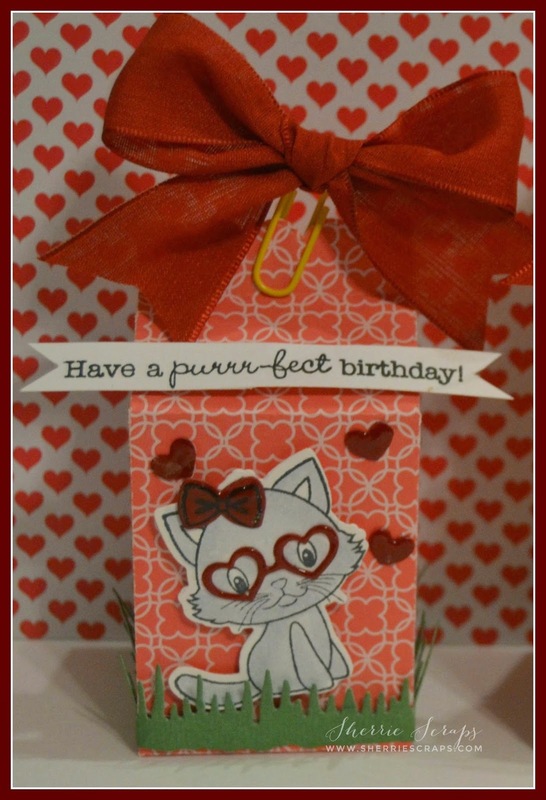 I wanted to do something special for Arya's little daycare friend who is celebrating a birthday and loves kitties. So, I thought this You had me at Meow stamp/die set was just perfect! 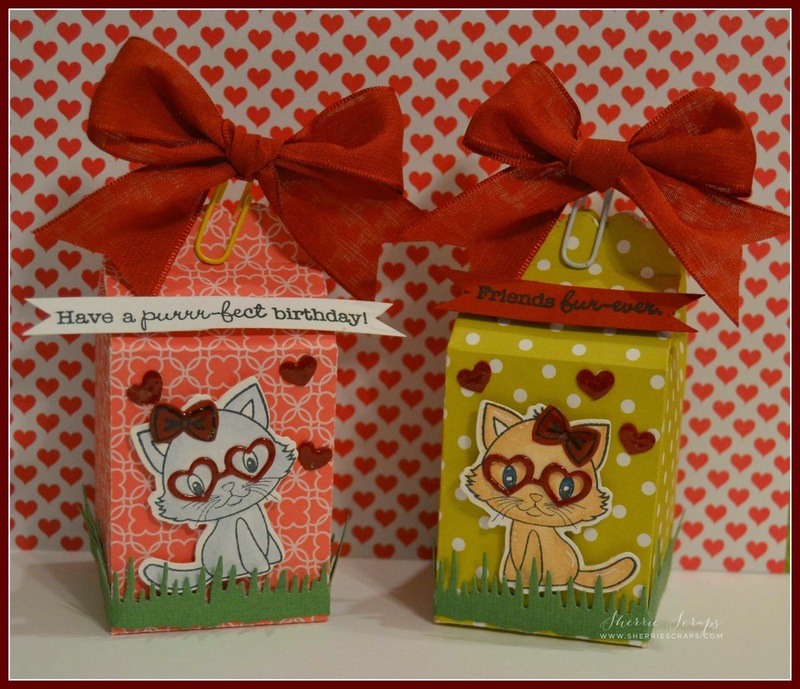 I created these darling treat boxes using My Creative Time's Milk Carton metal die. Fun ha? I can see a lot of possibilities with this especially if you need to make a large quantity:) The papers are a mix from Pebbles and SU. Of course, I couldn't just make one?! The grass is created with Jaded Blossom Winter Dies which is actually icicles but I think it works perfect for grass to, don't you? 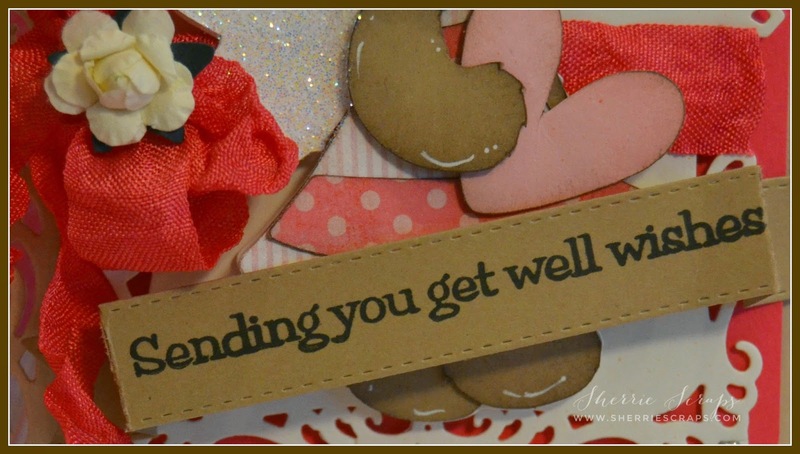 The kitties are and sentiments are also from My Creative Time's You had me at Meow stamp/die set. 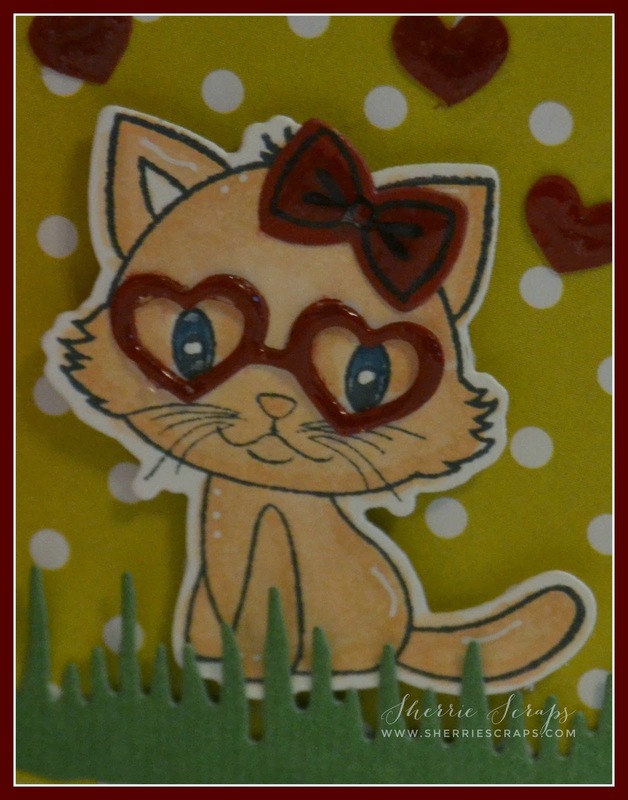 I stamped the kitties, colored them with copics, and added glossy accents to the glasses, bow and the hearts. 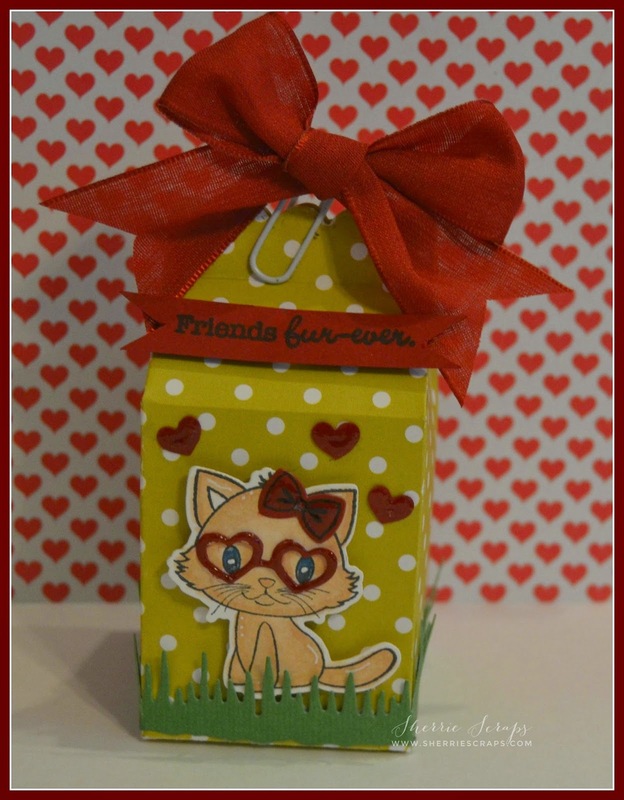 I finished with a paper clip to close the carton and added a beautiful red bow with ribbon from SU. 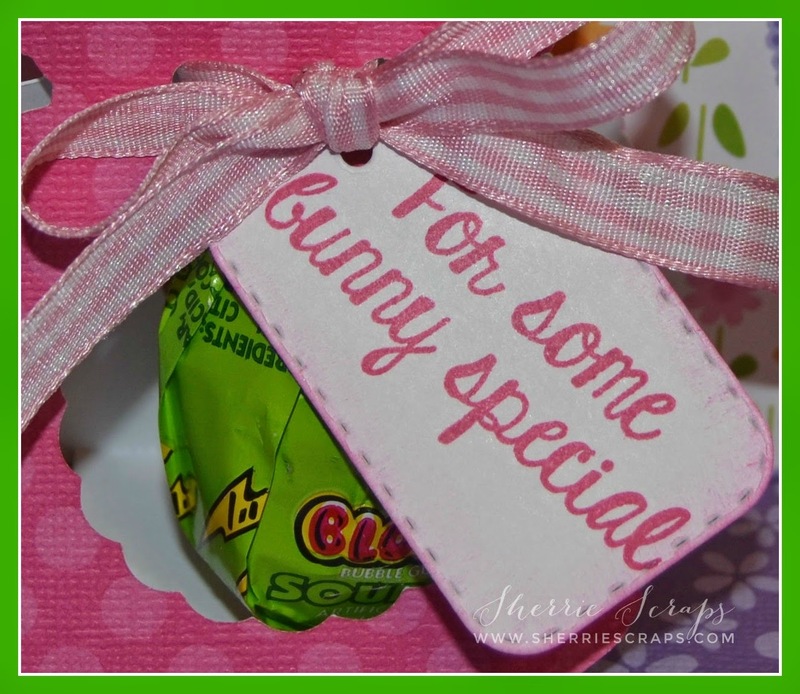 The cute bag is the Oval Window Treat Bag from Pretty Paper Pretty Ribbons. 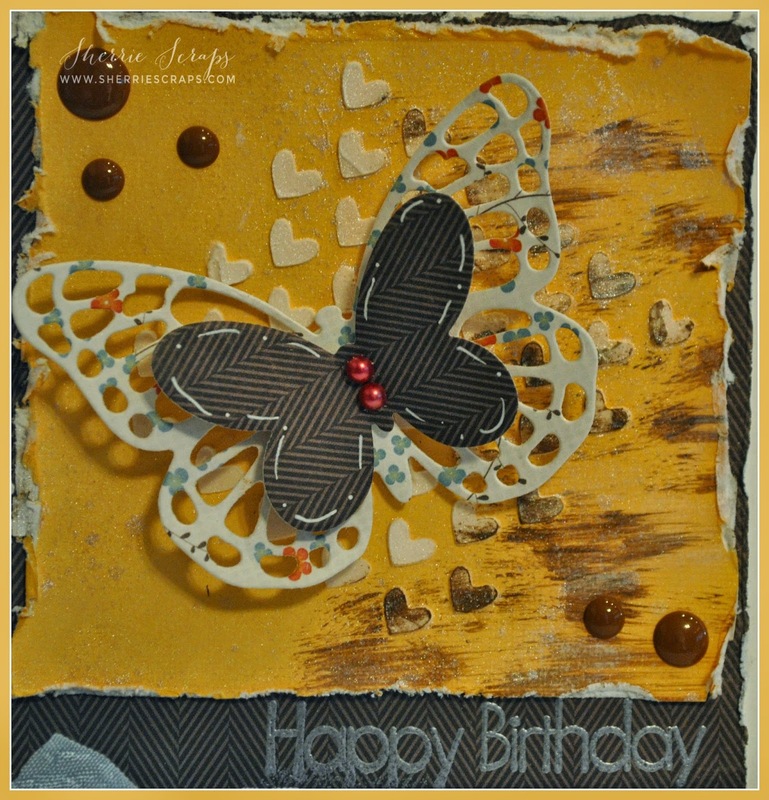 I used kraft black dot paper from Core'dinations. I did a little doodling around the window scalloped piece for a little pop. 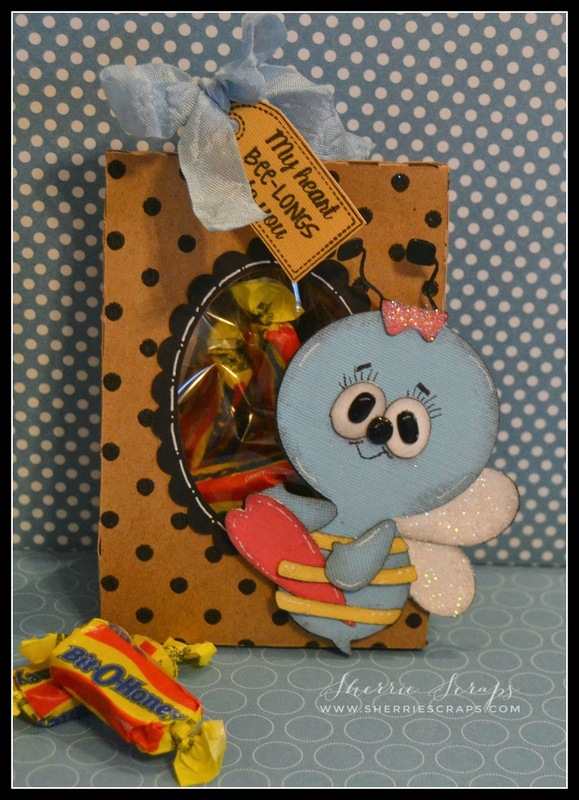 I filled a cello bag with yummy Bit O Honey and tucked it inside the treat bag. 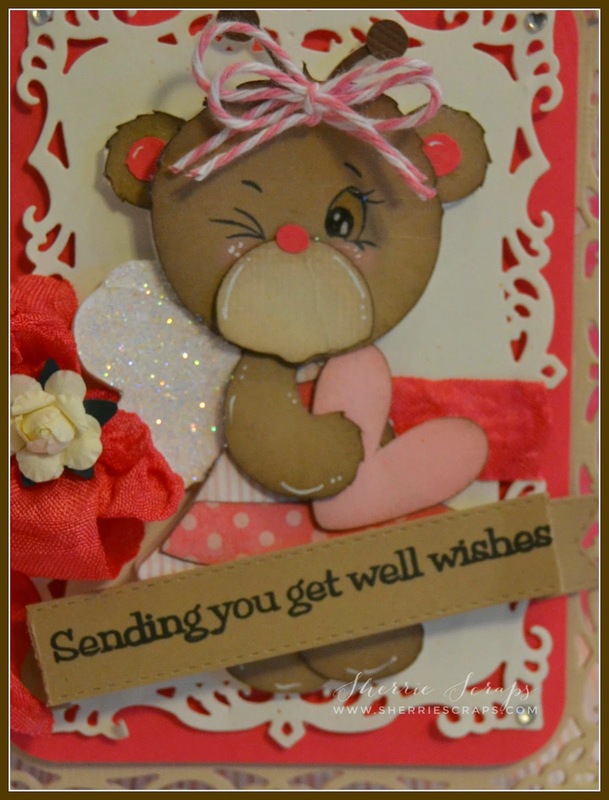 The tag is created using Craftin Desert Diva's Short & Sweet Tags and I stamped the cute sentiment with Sending Love. 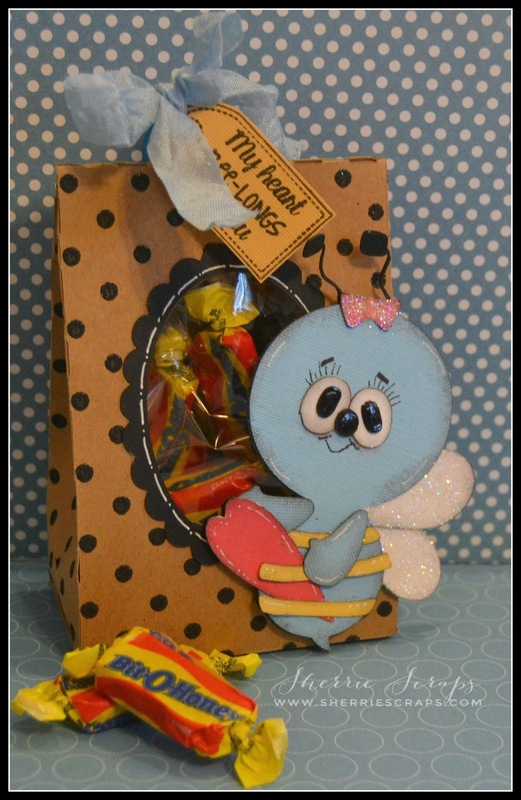 I finished by tying a bow with Baby Boy crinkle ribbon from 3 Girl JAM. I hope you all had a great weekend! 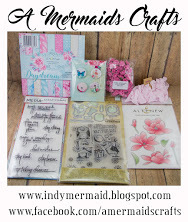 I was able to get some crafty time in with some friends on Friday & Saturday which was so much fun! I wish I could do that every weekend, lol! 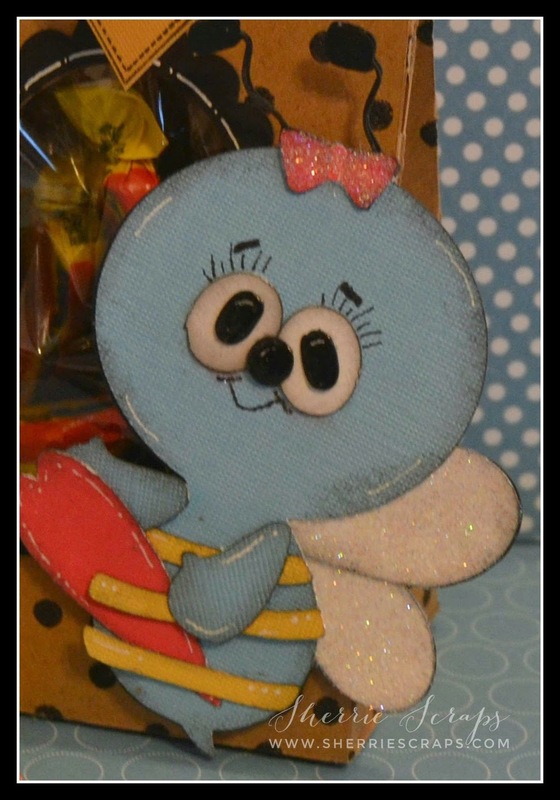 Today, I have a cute little cut file I found at Kadoodle Bug Designs and just had to make something with her :) Isn't she adorable? 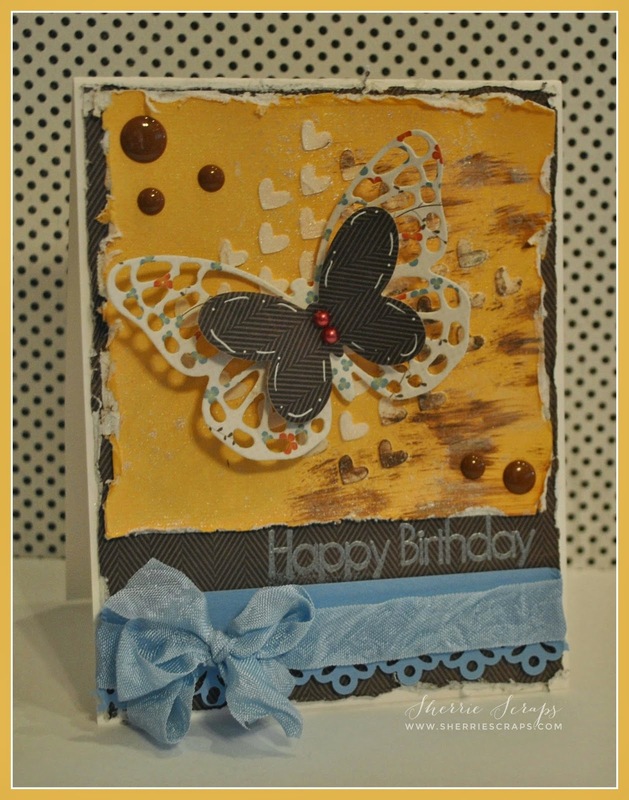 I started with the Spellbinder Decorative Labels Eight to create my card base which I absolutely love. I followed with the base layer doing the same and popping this cutie with foam dots onto that. I cut the Lovely Bumble Bear out and inked the pieces with TH walnut stain. The face is stamped with PK Teddy Bear asst stamp set. 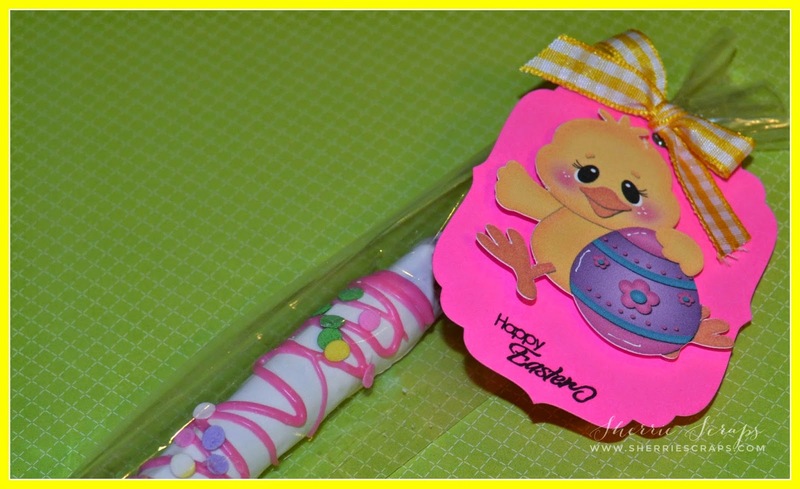 I added sparkling ice glitter to her wings, some doodling and a cute little bow with Tickled Pink Trendy Twine. 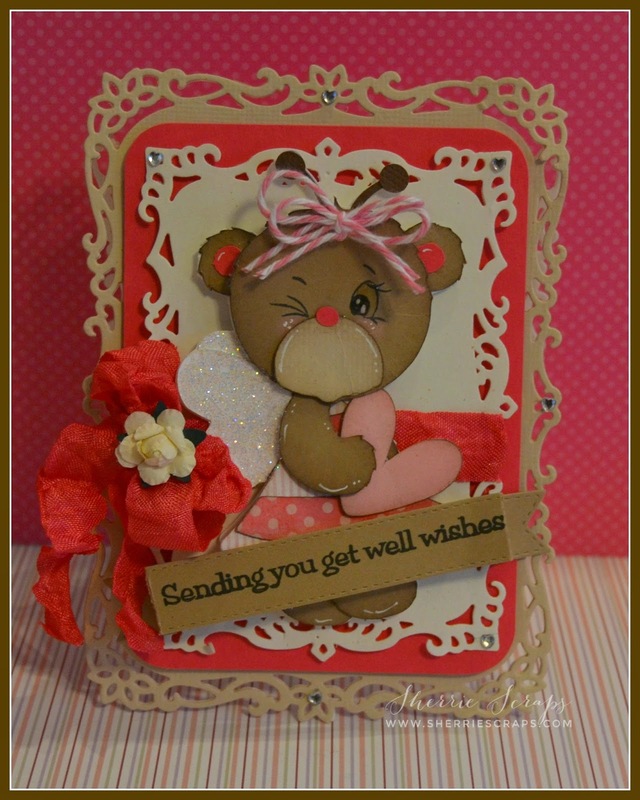 I Love You Beary Much stamp set.